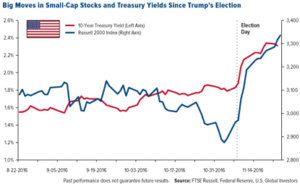 The market is very optimistic regarding Trump and his infrastructure plans. 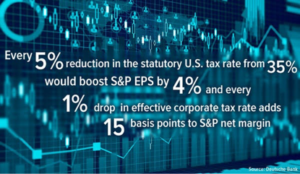 Because he has promised to do so much for the U.S. economy and for job creation, the market has staged a huge rally into new highs, with small-cap domestic stocks leading the charge. What Trump proposes to do is revolutionary, but between campaign promises and actually getting things done, there’s a world of difference. In 2016, gold and silver have rallied right after the first rate hike in years, and have since corrected down. Top mining shares were also up big, and are now cheap once again. The greatest lesson of the year is that gold and interest rates aren’t correlated, but gold and real interest rates are. 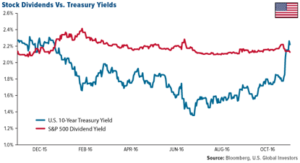 Notice how rising interest rates make the dividend yield of S&P 500 companies unappealing and rising rates usually cause the markets to revalue at much lower prices – I see that coming. The “Trumpflation” hype will fade away, and the slowest recovery since the Great Depression will continue. 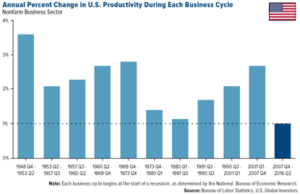 Since the end of World War II, productivity rose pretty steadily, but growth has been near-anemic for close to a decade now and is currently running lower than it’s ever been. 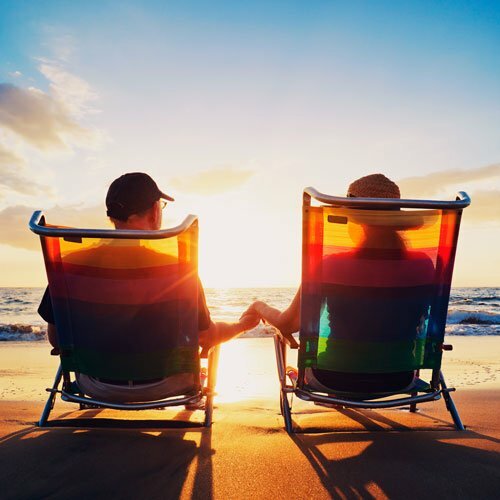 With S&P 500 companies not yielding nearly enough to meet the requirements of retirees looking to build a fortress of passive incomes streams, they will turn to stocks that are powerhouses of income – with 8% yields. The real money, though, is to be found in gold and silver stocks. 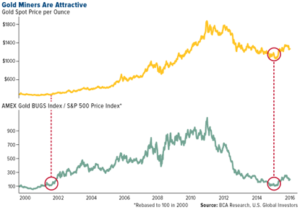 Notice that the stocks are insanely undervalued compared to the metals, and this is a scenario that hasn’t been this promising since 2002, and we all know what happened then. In my view, the lack of new discoveries makes Targeted Buyouts sure-fire winners of the next wave of the bull market. 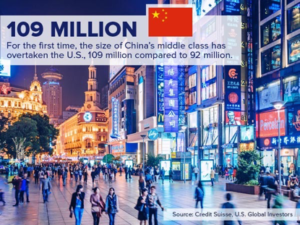 The Chinese, Indians, and Russians are hoarding gold at a mind-boggling rate, and that’s increasing the demand while new discoveries are a multi-decades lows. In my personal portfolio, I have begun to pile back into my favorite mining stocks, and I have been aggressive. The reason is that the tightening period in interest rates, coupled with rising inflation rates, makes bonds and stocks less attractive, but it changes nothing with regards to real interest rates. 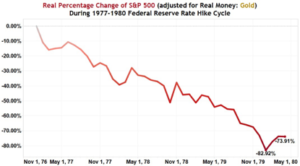 Notice that when the FED raised rates in a meaningful way in the late ‘70s, the S&P 500 in gold ounces crashed by more than 80%. It’s not only gold and silver that can become major players in 2017. The central bank manipulation and infrastructure plans in the U.S. and China are causing base metals to rise for the first time in years. 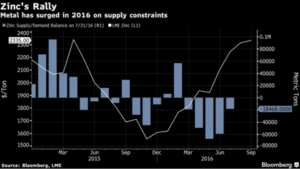 I am extremely bullish on zinc – it’s the world’s 4th most in-demand metal, and it’s suffering a major supply shortage. Out of all of the base metals, it makes the most sense to me on a sound fundamental basis. 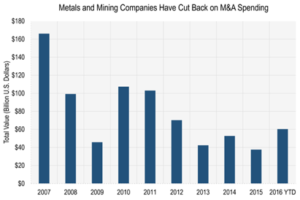 As Metalionaires, we want to focus on what Resource Legends are doing and emulate them, and right now, they are making moves into new deals. 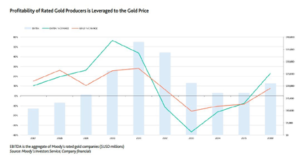 Global producers are set to increase capital spending next year, with the rate at which they develop new mines and how those projects are funded being the top priorities. That’s great news for the sector and for us. Going into 2017, as always, the one characteristic that will allow you to be on top of your game will be to understand the 5 timeless principles of investing success and to stay a contrarian. Another fantastic year is ahead of us, and with lessons learned this year, we will be even more profitable.